Restaurant Menus are also in TouchLife ! 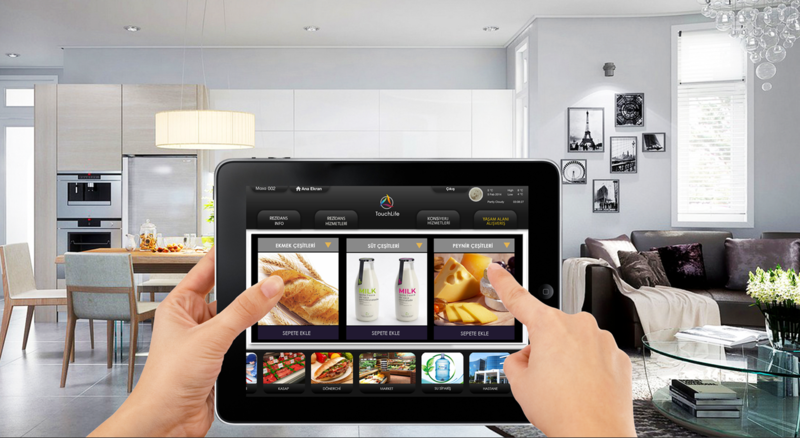 TouchLife is a service technology integrating with all services, shops and activities in a local area. With a single touch, all needs of daily life can be ordered, demanded or purchased. While providing instant and joyful services with private promotions, System also offers a continious communication between residences, property management, concierge services and real estate company Each system is customized due to location, requirements and brand guidelines of real estate projects. 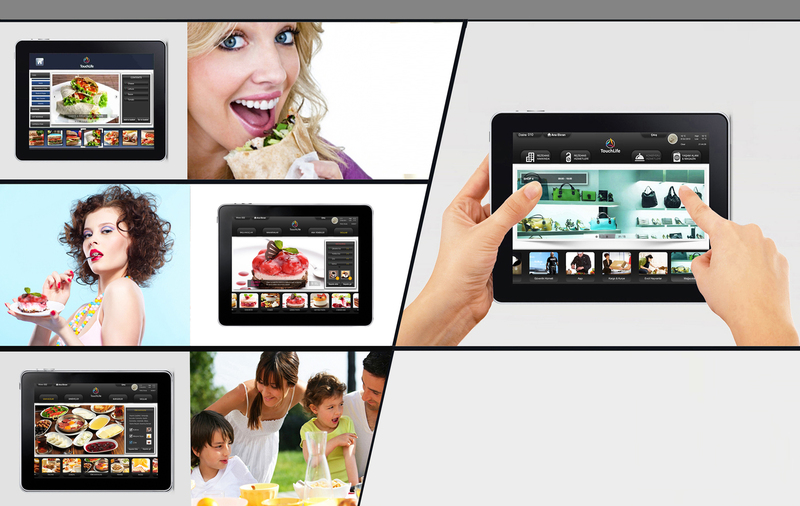 TouchLife has very user friendly interfaces whick can be easily used by all generations. Residences can access all services and products via pc, tablets or other mobile devices. Access to all concierge services and shops in the area from one platform instantly and having special discounts by demanding them through Touchlife App. Recieve all informations announced by property management and real estate companies. Review all contents with multi-lingual support. Connect with residences in different ways such as informing through system, integrating monthly free management system, security cameras or making surveys to gain feed back instantly. Revenue sharing models of service and shop integration fees. Create customized promotions for target profiles due to their sopping behaviours. Supermarket, grocery, butcher, car wash, restaurants, technical service, taxi station, pharmacy, cargo, locksmith, patisserie, greengrocer and many other nearby shops & services are integrated in TouchLife. Tour agency, entertainment venues, night clubs, cinemas, furnisher, jewellery, auto gallery, florist, petshop, nursery school, beauty center, gift shop, clothing stores, car rental, catering, event and organization services, electronic shops are also in TouchLife. Decoration & design services, educational instutions, hospitals, legal consultancy services, art academies and many other professions are serviced through TouchLife. With the multi-lingual support, foreign residences can review and access all services in their native languages and adapt the environment instantly. TouchLife is not a cost, it’s a revenue model! TouchLife deployment and operational costs can be reflected to property management fees, ( 1$ – 10$ per month ) and system can be activated without any cost for construction companies. 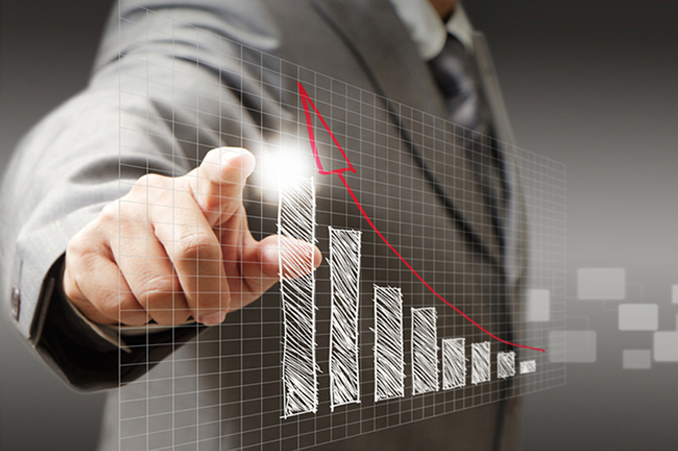 On the orher hand, system also provides revenues from various shops and service providers joining TouchLife system. Real Estate Companies can feature TouchLife in showrooms and highlight the unique technology within their marketing and promotion tools to fasten the sales process of apartments. By offering residences an ‘ all in one platform ‘ of nearby services and products, real estate projects not only create a strong “wow” effect, but also allow “time poor” residences to recieve what they need in the most efficient way. Whenever it is required, TouchLife is ready to serve them as a personal assistant, to notify all relevant service providers, products or events that are available in the nearby area. This provides residences a unique experience while reviewing all aspects with rich visuals and detailed information. Instead of picking up phone and calling, residences can access all services from tablets or phones with a single touch and enjoy their saved times while recieving their requirements with door to door services. System also helps to understand customer behaviours and enables better tuned and customized service & product offers. Analysing and reporting big datas for service quality and gaining feed back from residences with surveys, implants the seeds of a new generation tech offering an easier and joyful life for residences.